Good to see Futurelearn launch with 26 partners and add another platform and community to the growing MOOC landscape. Mike Sharples gave a clear, and honest, report on progress so far, at BETT. “We can’t compete on technology, so we must compete on the learning experience” said Mike and outlined the platform’s pedagogical approach in detail. To be clear, I am NOT a social constructivist (see my 9 reasons why), then again neither are most of the people I hear utter the phrase, as they have rarely read any of the background theory and often parrot the two words as if just uttering them is enough to confer deep meaning. It’s always astonishing to hear people who largely ‘lecture’ for a living, express strong beliefs around social constructivist pedagogy. However, Futurelearn has people like Mike who know their stuff and do have complete belief in social constructivist theories of learning. In their case, there is a genione effort at applying social constructivist theory to the learning process through discussion opportunties on every screen. There are also mentors who ‘moderate’ the discussions, looking for hot stuff. A second plus is the activity groups, segmented into say 20 learners, who fill up the bus to go on a group learning journey, then the next group of learners wait on the next bus and so on. Peer review and peer assessment are also there for assignments. Your assignment goes into a pool and you get six pieces of feedback, while you also assess other assignments. This is all good stuff and I look forward to seeing how effective this ‘social layering’ has been in learning. The danger is that the 'social constructivist' approach trumps or overwhelms the quality of the content. The doomsayers warned us of a world dominated by one massive MOOC player. Far from being a market dominated by one platform, the MOOCosphere has a range of platforms (see analysis here) on a range of technologies offering a range of pedagogic models from adaptive and algorithmic through social constructivist to direct instruction. The MOOC moaners are usually those who haven’t persevered with a MOOC or, as I’ve found at two major conferences (WISE & Online Educa), where the so-called ‘experts’ on the panels hadn’t taken a single MOOC. It was like listening to schoolchildren struggle through a conversation because they hadn’t done their homework, as they had little idea about the functionality that supports different pedagogic models. One can quibble about the courses but some of the University partners are excellent, I spoke in detail to Hugh Davis of the University of Southampton, who was positive, level-headed and proceeding as one should in such projects, with a sense of realism combined with genuine curiosity about experimenting looking for what works and doesn’t work in MOOCs. Fascinatingly, they’re recruiting student volunteers from the first MOOC to mentor on subsequent MOOCs. That’s the spirit of innovation I like to see. The partners are the people who will make this work and so the relationships between the OU private company and the partners are important. Edinburgh, for example, has MOOCs on both Coursera and Futurelearn. I hope the OU will be as generous as Edinburgh were on their data. Once again I asked where the funding had come from for the first batch of MOOCs and once again Mike ducked the question. I asked Simon Nelson (CEO) the same question and he declined to answer. This, in my opinion, is unnecessary. We know that this has taken at least £2 million of start-up taxpayers’ money, so why not be honest and tell us? It’s our money. I know how much Coursera, Udacity and EdX have raised. The fact that it’s priming a private company is a bit worrying for many (not for me) but I think, given the disastrous IT projects and forays into other markets (US) that the BBC and Open University have tried, being ‘open’ would have been welcome. The trick now, as they will almost certainly have chewed through their original cash with expensive BBC contractors, is how they sustain the company? Mike gave a good account of the possibilities but this is achievable but only if they have some savvy business people in the camp. A great play is made of the ‘best of the UKs software talent (from the BBC)’ being used on the project. This hyperbole may come back to haunt them. The platform is nothing special. Indeed, in terms of functionality it is quite basic with no real innovations. This is not a problem, because the underlying pedagogy doesn’t need it. But the very idea that the BBC, who recently had to abandon a £100 million Digital Media Initiative having achieved nothing, makes this a rather laughable claim, as does the £75 million squandered on BBC Jam, their last major online learning project, that collapsed without a single piece of content being released. The BBC, far from being added-value, is, I suspect an expensive and ultimately unnecessary resource. First thing to note is how infrequent the courses are. There’s a substantial list of courses but many are not in this month and many not until five or six months in the future. Two don’t have start dates at all – this looks very odd - don’t they have production deadlines? Then there’s the uninspiring nature of the catalogue. It looks more like a cobbled together evening list than an inspiring set of courses. To be fair it’s the universities who chose the courses, not the OU, so this is really a OU platform, not an OU offering. MINUS 4: Design free zone. My last worry, and this is something summed up nicely by Graham Brown-Martin, when he described Futurelearn as a ‘Skoda-level’ designed LMS. He has a point, as the branding, screens and presentation are so deathly dull. It’s like watching an unfinished, wire-frame demo. Again. To be fair, it’s early days. I applaud Martin Bean and the OU for this initiative but do think it would have been a much stronger offering without the opacity on the finances and cost and baggage that the BBC bring. Nobody believes that the BBC is a world-leading software house and it’s ljust palin odd that a part-timer, someone from Radio, was chosen to lead the project. I adore the OU and see Futurelearn as a genuinely moral attempt to be ‘Open’ in HE and encourage us all to take at least one of their courses. F/L funding? try £4m from the OU (at least... see companies house filings) and a pending share issue. Sounds right. I believe the first tranch was £2m thn subsequent money essentail as likely to have run out by now and no real revenue as yet. Absolutely share your doubts on partner line-up featuring OU and BBC. Only project I ever resigned from had them as two of three partners. OU technology side was OKish, but BBC approach to project management and marketing nothing short of disastrous. Did not have first clue about how education worked, how the money moved, or the likely timelines in what is a conservative sector with annual cycles. Hugely optimistic projections based on zero understanding saw an excellent project crash and burn before it made any impact. Then they left the excellent content to rot rather than lose face by releasing for others to use. Hopeless... Sad thing is that they have some brilliant educators & project guys at the Beeb too, that they don't allow to get involved... a double whammy! You have right on your side with regard to the BBC's failed DMI Project, but not with respect to BBC Jam, the failure of which had nothing to do with the quality of the content produced and everything to do with a cabal of commercial content providers who frightened the life out of a pusillanimous BBC management and senior civil servants in the Department of Education at the time. Another view, which I sort of agree with, is that the procurement was amateurish, companies selected on 'who knew who basis'. I can confirm this as no serious e-learning company was chosen. Project management was also woeful and projects went way over budget. The whole project was out of control when it was canned. I have some interesting stories from the people who worked on some of the projects - completely shambolic. Donald, the link expalining why you are not a social constructivist is not working.I'm interested in reading your thoughts on this - could you point me in the right direction please. As a new addition to the team at FutureLearn I'd like to pass on thanks for your support and encouragement. I can also clarify a few points. 1. There shouldn't be any opacity about the fact that the OU fully fund FutureLearn. The OU is best placed to discuss their funding strategy. 2. There is absolutely no link between the 2 BBC projects you mention and the talent and approach here. Nobody here was remotely involved in them. What some of the team did develop were podcasts, BBC iplayer, and digital radio. These projects achieved significant recognition from outside the BBC, and were undoubtedly innovative. They required far more leadership, vision, and instinct for the experience of millions of people than you would typically find within a software house. We hope you enjoy watching this space, and again thank you for your appraisal. The problem is that there is opacity. I know and stated that it was fully funded by the OU. If there's no opacity, let’s discuss it. How much was invested in the first round – was I much out on £2 million and how much needed to be raised on the next – another £2 million? I personally asked Simon Nelson and Mike Sharples about the level of initial funding and both declined to answer. How much was invested into the private company by the University? Not sure what you mean by the second sentence? That it's none of our business? It's public money. I wasn’t suggesting that it was the same people but precious few would agree that the BBC is a hotbed of good software project management. In fact, it’s quite famous for being the opposite. This is a learning platform not a podcast delivery or replay platform. And to set BBC software developers above all software houses is a step too far for me. I assume you’re a marketing/PR person (not sure – a guess). That’s OK but I’m not sure that you know enough about these platforms to make this rather outrageous claim. Slightly prickly response if you are a PR person! Listen. I'm a huge supporter of the OU and wish Futurelearn the best of luck but it is important that it is transparent in its finances, as this has annoyed many. There's only one organisation in the UK that would ask the BBC to build an online learning platform and that's the OU - believe me it's a weakness not a strength. Thankfully there's enough good people at the OU to keep things steady. It's an old tale this one! Best of luck. 1. I did not comment on whether FutureLearn funding was public business, I was suggesting such questions were directed to the funding body- the OU. FutureLearn employees do not determine the OU's investment strategy. But your observation on the annoyance factor is definitely noted. 2. I know a little about software houses despite (or maybe because of), being a marketing type ;) Saying the BBC team had some skills not typically found in a software house does not set them above all software houses. It just means that the software is secondary to the learning experience for FutureLearn- it is a means not the end. And the OU did not ask the BBC to build the FutureLearn platform- they asked a proven digital leader (who had worked at the BBC) to build a company to do so. 3. I didn't mean to imply you could not debate the 'oddity' of our courses! Just that I'd probably not debate it myself but welcome seeing it play out and no doubt inform our journey. Everyone's passing the buck on funding. Strange that I know what Coursera, Udacity and EdX have invested yet no one will tell me how much of my own money (as a taxoayer) has been invested in Futurelearn. It's odd as it will have to come out eventually. There's a great deal of suspicion about this investment and the role that the Department played in all this. Still think what they needed was not a Radio guy from the BBC with no learning or online learning experience. Neither is he a 'company builder' namely entrepreneur. That's the difference between the US and other platforms and Futurelearn - real entrepreneurial and experienced leadership. However, it may result in something quite innovative - just not seen it yet. As we both said - it's early days. I'll swerve the funding controversy (I'm not a British taxpayer anyhow), but instead will add my 2-cents' worth that I don't see peer review as a plus. Of course it's probably necessary given the "M" in "MOOC", but having experienced peer review in moocs, I get the sense of the blind leading the blind. Thanks.On peer review - there's lots of experimentation and innovation here and I'd agree that much of the current peer review is a bit hokey. However the Futurelearn 6 people review (don't assess) system seems quite good. there's a big diference between peer review an dassessment. I also think that this will get a lot better. Evidence from Mazur and others show that there is promise here and it's worth persevering. To be honest I'd rather forge ahread with machine marking, even on essays - which is what EdX are looking at. I'm guessing Mike Sharples ducked the question because he simply doesn't know - it's not his area of expertise. Can't speak for Simon Nelson's reasons for reticence, though - and he would know, of course. It strikes me that if a share issue is in the offing (I have no information either way about that, only going on the anon comment at the top of this thread), he would have to be very, very careful about anything he said about funding, so the safest course would be to defer questions. I'm fairly sure the funding to date is all public, though. OU financial statements for 2013 show total share investment in FutureLearn Limited of £2.5m as of 31 July 2013 (accounts here, go to 2013, top of p 58), and Companies House (free web access) shows total share capital as of 20/12/13 of £4m, as the first (anonymous) comment said. On the BBC thing, if I've understood it right, it's definitely not a BBC project in any way, and the BBC is not even a partner in the affair. 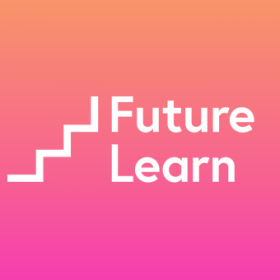 FutureLearn is a standalone company, and is organised very much on an agile startup basis, separate from all normal OU processes and procedures. I don't know all of the FutureLearn staff, but I'm pretty sure they're not all ex-BBC. I was pretty alarmed when they announced they were building something new from scratch - it's a tall order to make anything that fast that scales. Simon Nelson's previous big-ticket experience was on iPlayer - which isn't learning (but they brought Mike Sharples and others in for that), but was developed fast and does scale. And he and the team he built have delivered, much to their credit. On the design ... it's not quite my cup of tea either, but it does seem much of a piece with a lot of modern design. (Think iOS 7, Microsoft Metro, Quartz, etc - I'm sure 'look good on an iPad' was a key design requirement.) And heaven knows it's easy to make a learning platform a complete dog's breakfast with the entire kitchen sink on screen competing with what you're trying to learn. Much appreciated Doug. I have no idea why Mike and Simon were so reticent about the cash inputs. As you say starting from scratch on this cash basis is a tall order. As I said, the OU has some fine people, some of who take the word 'open' mor seriously than others! Thanks again. What's the relationship between FutureLearn and Leagas Delaney Ltd, listed as the parent company of FL at companies house? That renders a class worthless. If one doesn't know what the texts are until the class begins, one can't obtaini them for three weeks, and I am perpetually behind in these classes as a result. I wrote to the only contact information for Futurelearn given on its web site, a feedback e-mail address, adn got back an auto mail that we don't answer all of them - in other words noone even reads them and certainly noone responds or takes action to fix a problem that needs immediately to be solved, such as no books listed for a class soon to start. I looked for who the executive officers are to write them, and the "team" doesn't consist of any humans, just companies such as Skype. Maybe I'd do better to write to Skype and the rest of the "team" and tell them to stop funding this scam outfit.